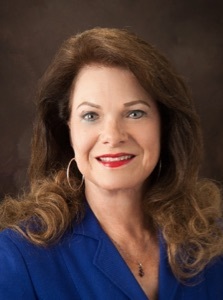 Jean Gonzalez Wingo has a degree and a wide variety of experience in both lobbying and practical work in the area of Health. She received the Distinguished Alumni Award from the University of Florida College of Health and Human Performance for her successful lobbying of landmark legislation in the promotion of Health. From her efforts, Florida became the lead state in Clean Indoor Air legislation and other anti-tobacco laws receiving national awards, recognition, and requests to speak at seminars to train states and groups in successfully passing legislation. Florida also provided the national model for lifesaving defibrillator legislation. The state was one of the first to see the looming fitness crisis in our schools and Jean lobbied for the 1998 Personal Fitness Act promoting physical education in the schools. Later in her career, she served as Legislative Director for the Florida Department of Health involved in almost 1/3 of the bills in the Florida Legislature including a $2.2 billion budget, all medical boards, pharmacy issues, the Florida Anthrax terrorism scare, and 5 Medical Malpractice Special Sessions. While at the Department of Health, Jean coordinated the Volunteer Doctor Program overseeing 16 statewide staff who worked with hundreds of doctors, dentists, and free clinics to provide millions of dollars in free health care for the indigent. As Director of the Leon County Mental Health Association, advocating for good mental health was a primary focus. As an advocate of health, Jean obtained an ACE Personal Trainer Certification which she uses to provide fitness education seminars to groups.